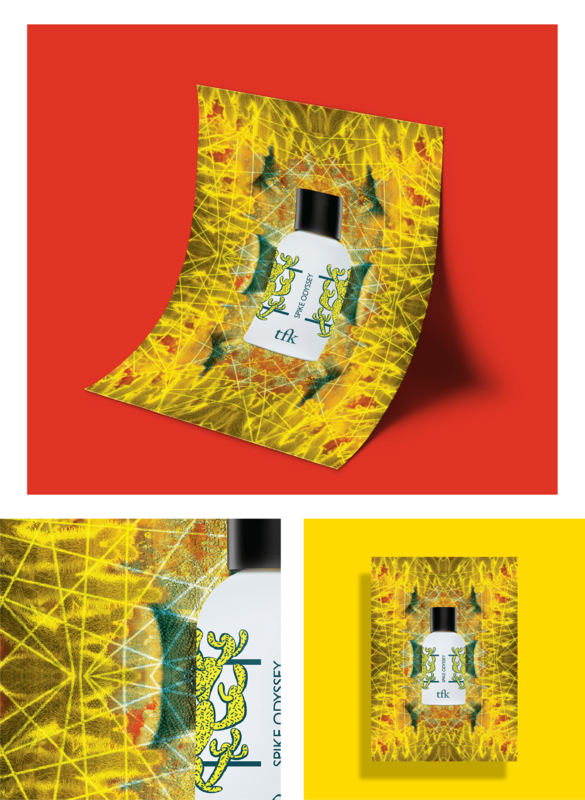 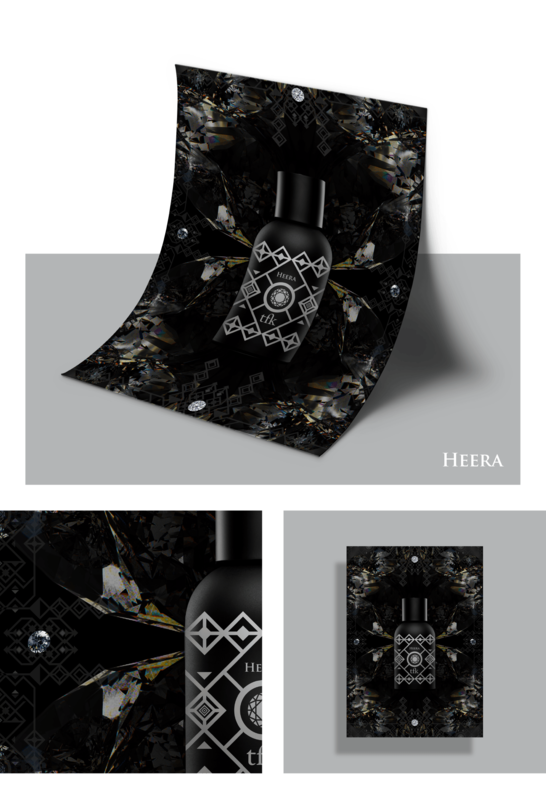 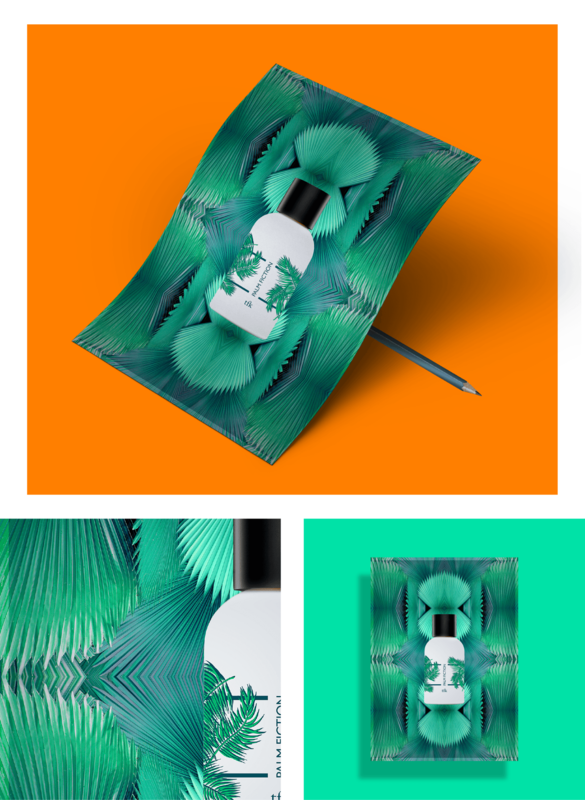 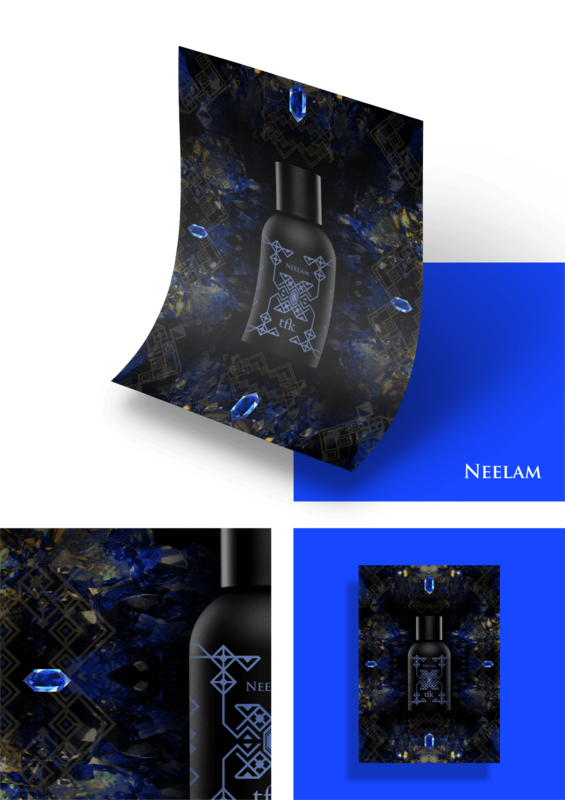 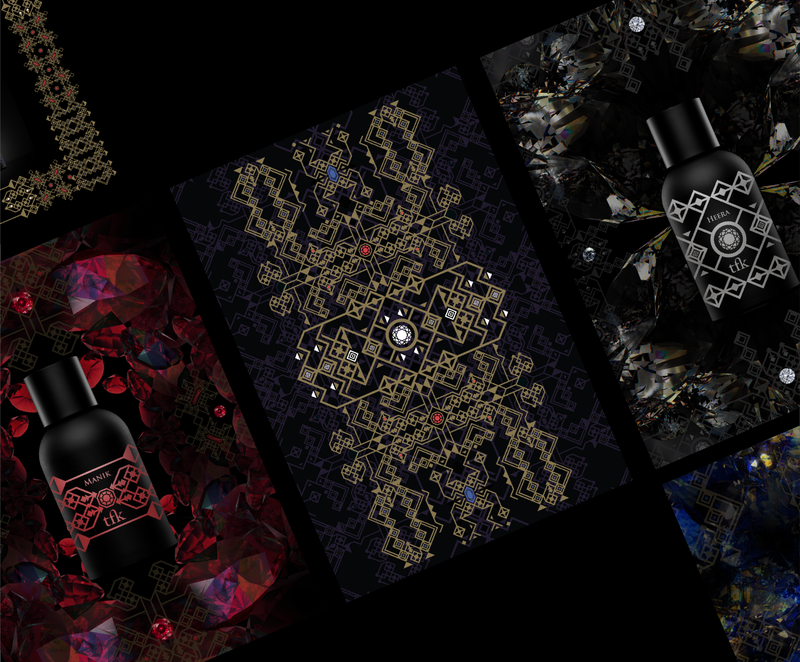 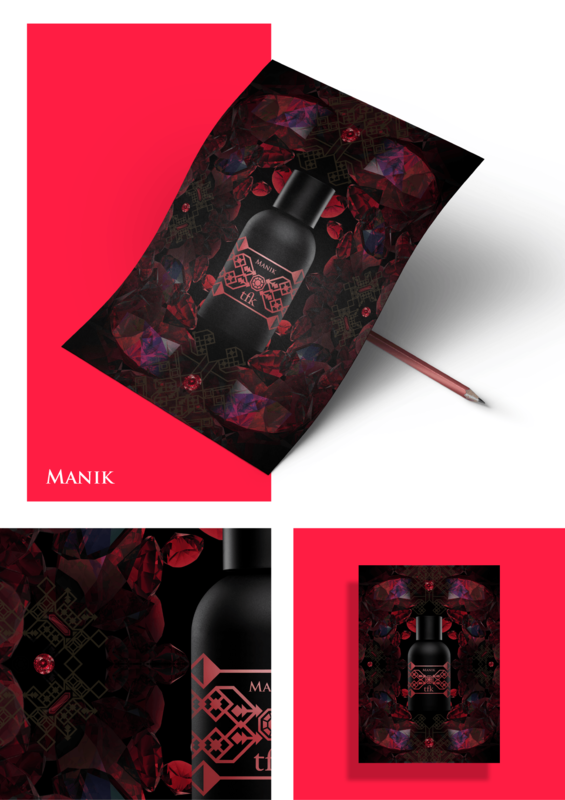 The aesthetic of the TFK posters was created to follow the the geometric pattern on the TFK bottle which are themselves inspired by the Arabic aesthetic and architecture. 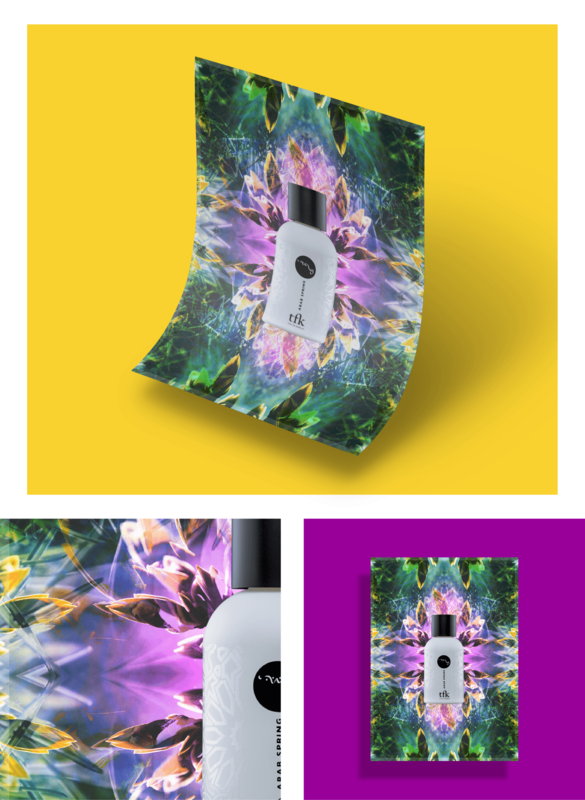 They are actually quiet different from a kaleidoscope since they are based on the superposition and merging colors. 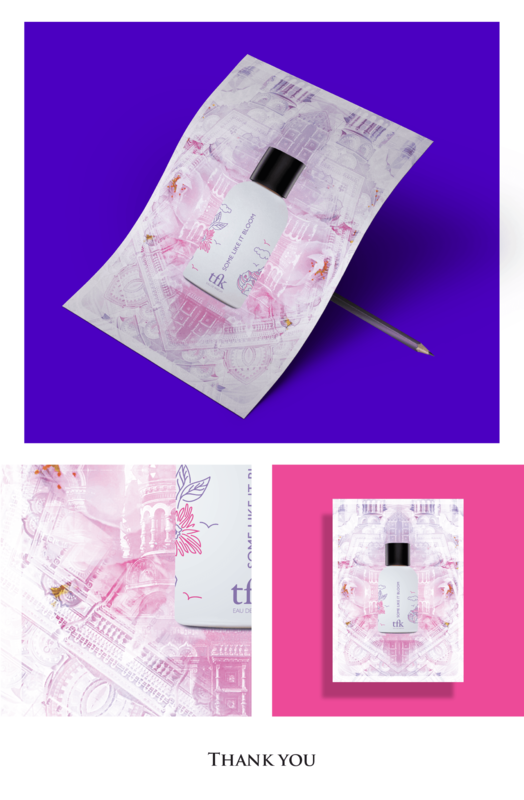 Most of the elements are composing the pictures that tell a story about the smells using ingredients of the fragrances or following the ideas resent in the text.